RTX-35 is a 1:35 output transformer of our own design for classical passive ribbon microphones. 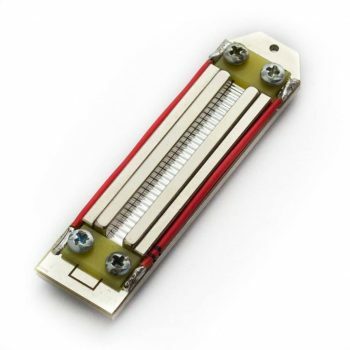 It was designed for both applications – in new ribbon mic DIY projects and existing budget ribbon microphone modding. RTX-35 is a premium quality component with excellent sonic properties. 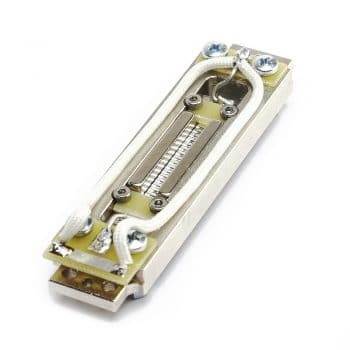 Transformer is the second most important part in a classical ribbon microphone after, of course, a motor itself. 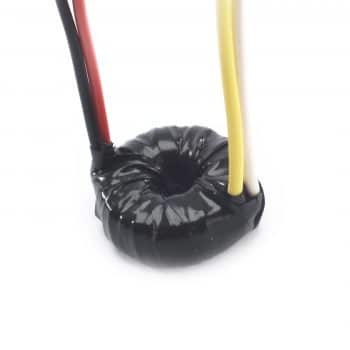 While the motor defines the most of the sound character, the main purpose of a transformer is to amplify this very low level signal up to a working level, itself being as transparent as possible. RTX-35 is a 1:35 output transformer of our own design for classical passive ribbon microphones. It was designed for both applications – in new ribbon mic DIY projects and existing budget ribbon microphone modding. RTX-35 is a premium quality component with excellent sonic properties. The primary winding has high enough inductance to provide the proper loading for typical ribbon motors in the whole frequency range. Probably the most important for ultra-low signal levels (as it is with ribbon motors): very high natural immunity to EMI (electromagnetic interference), meaning that hum and buzz will be less of a problem. 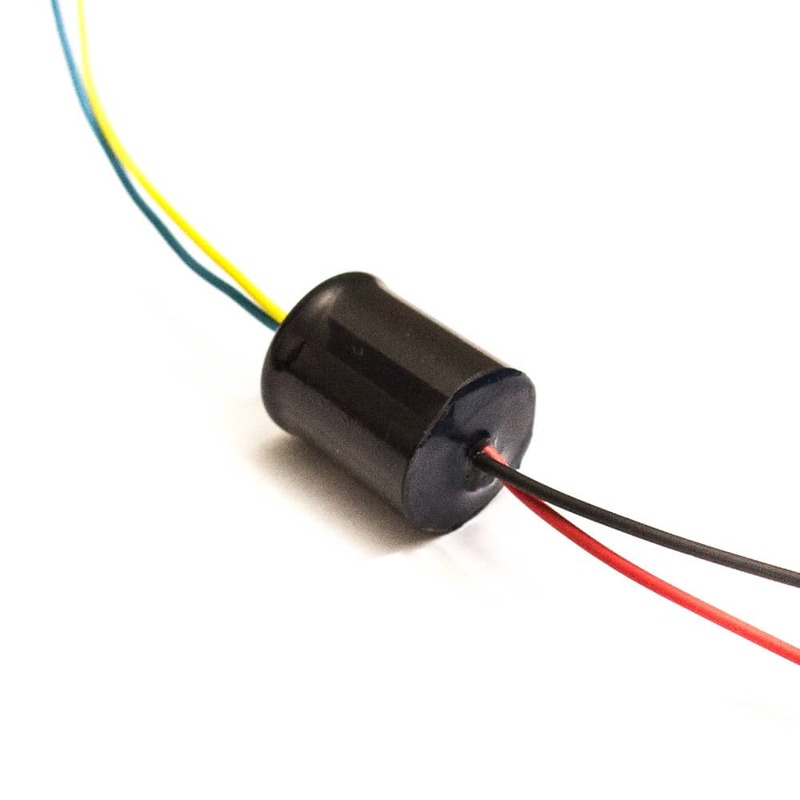 Very low winding wire length for the same number of turns comparing to bobbin types, meaning much lower DCR (direct current resistance), thus much lower signal loss and higher efficiency. Flat response with high bandwidth. 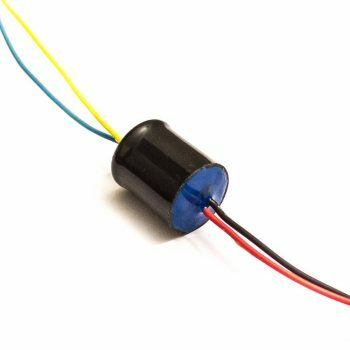 *20 Hz is an average number when used with typical low impedance ribbons (5 mm wide, 2.5u foil), like RE-254 ribbon motor. This high-pass filter effect was added with intention to transformer in order to damp the subsonic rumble that ribbon microphones are so sensitive to and to compensate the resonance of the ribbon. It results in cleaner and flatter overall response and tight bass without “muddiness”, that is often associated with ribbons.